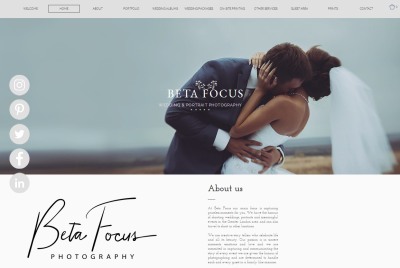 At Beta Focus our main focus is capturing priceless moments for you. We have the honour of shooting weddings, portraits and meaningful events in the Greater London area and can also travel to shoot in other locations. We are creative story tellers who celebrate life and all its beauty. Our passion is in sincere moments, emotions and love and we are commited in capturing and communicating the story of every event we are given the honour of photographing and are determined to handle each and every guest in a family like manner. Our style reflects our passion and mission statement as we strongly believe in simplicity and quality by using natural light and unique locations to 'capture moments we should all treasure'.